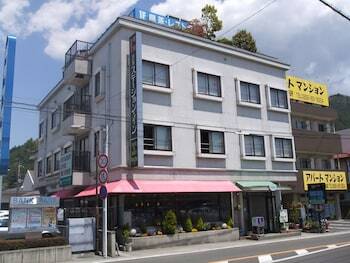 With a stay at Kawaguchiko Station Inn in Fujikawaguchiko, you'll be a 4-minute drive from Mt. Kachi Kachi Ropeway and 5 minutes from Fuji-Q Highland. Featured amenities include a 24-hour business center and coffee/tea in a common area. Free self parking is available onsite. With a stay at Central Osaka Bed and Breakfast Hostel in Chuo (Namba), you'll be minutes from National Bunraku Theater and Kuromon Ichiba Market. With a stay at Hotel New Yashio in Nasushiobara, you'll be 0.3 mi (0.4 km) from Myounji Temple and 7.2 mi (11.6 km) from Hunter Mountain Shiobara. Free self parking is available onsite. A stay at Yubatake Souan places you in the heart of Kusatsu, steps from Kusatsu Onsen and Hanashiki Onsen. The front desk is staffed during limited hours. With a stay at Hotel Kaibo in Nanao, you'll be within a 5-minute walk of Noto Peninsula and Shikanosato Onsen. Free self parking is available onsite.